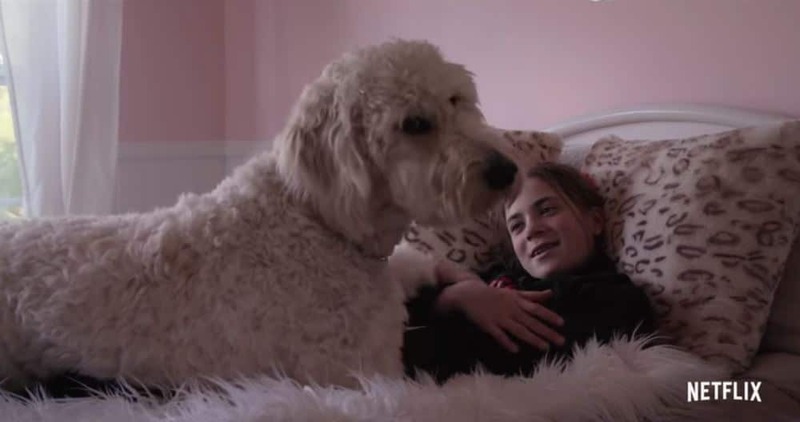 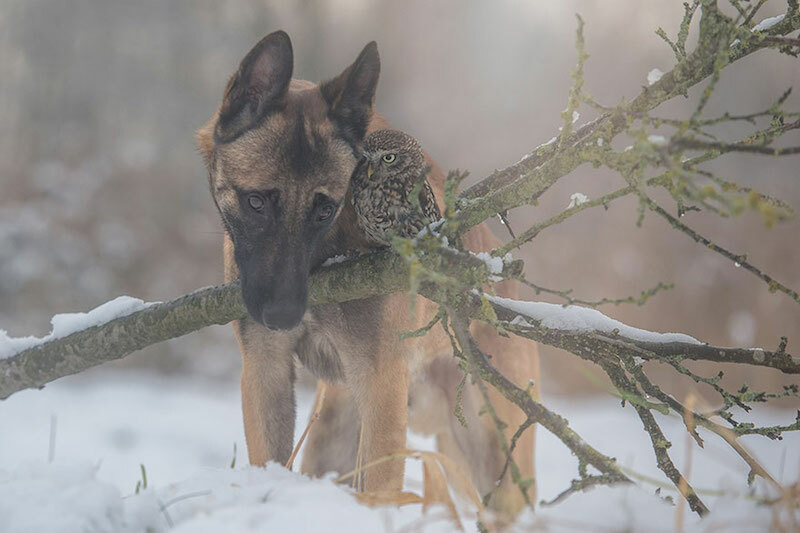 Dogs make friends with the most unlikely of animals. 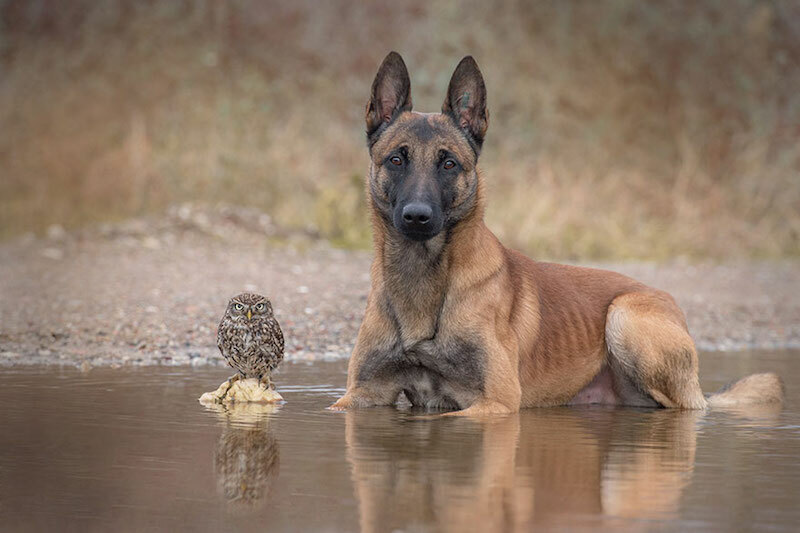 Last week we told about an Australian Shepherd who’s pals with a fox, and now here’s a pooch who’s best friends with an owl! 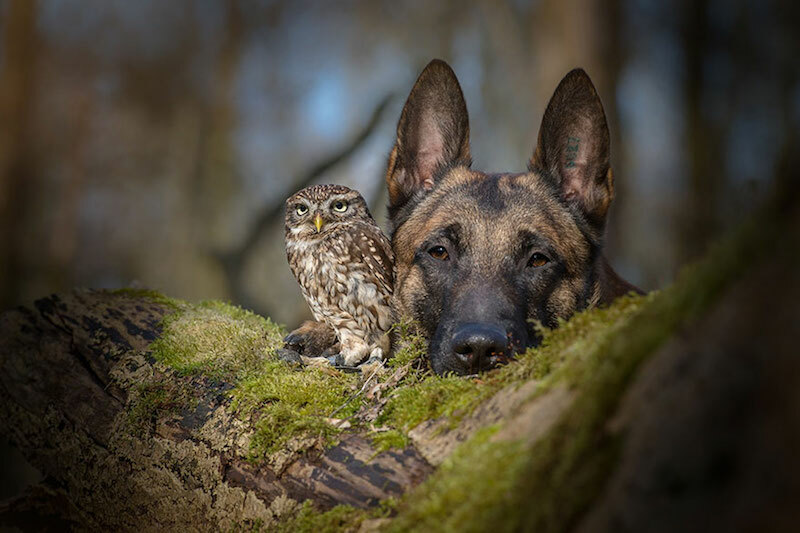 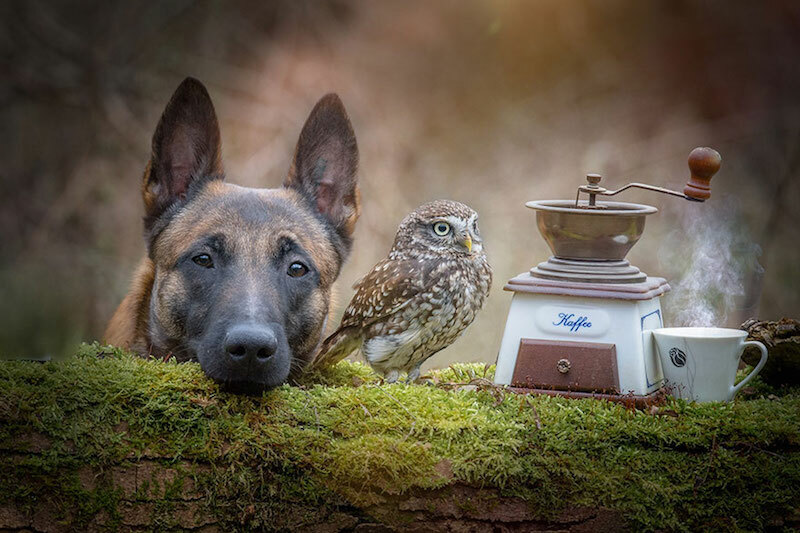 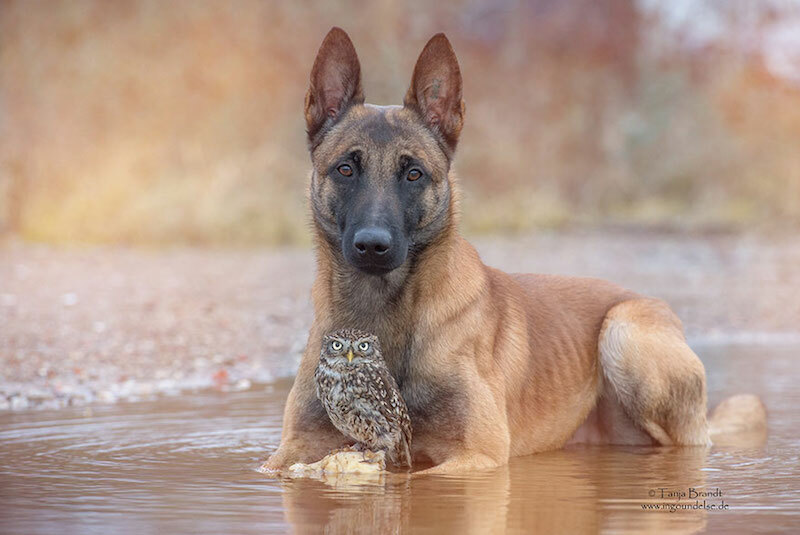 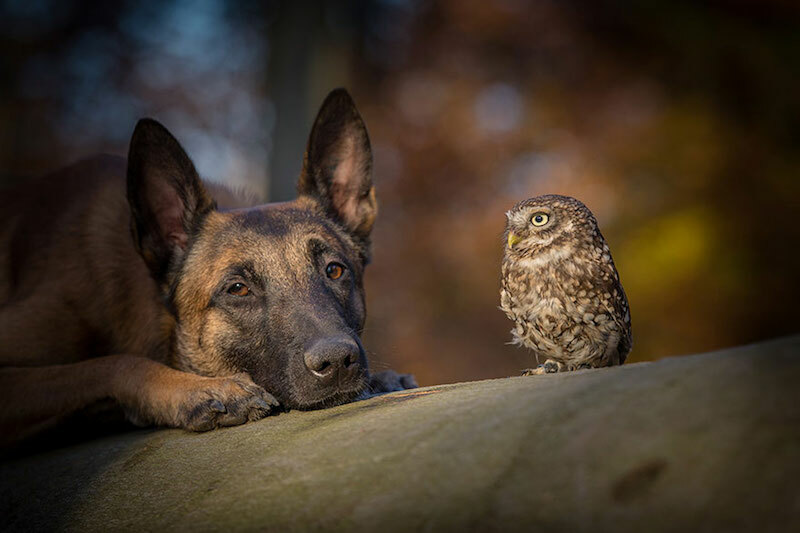 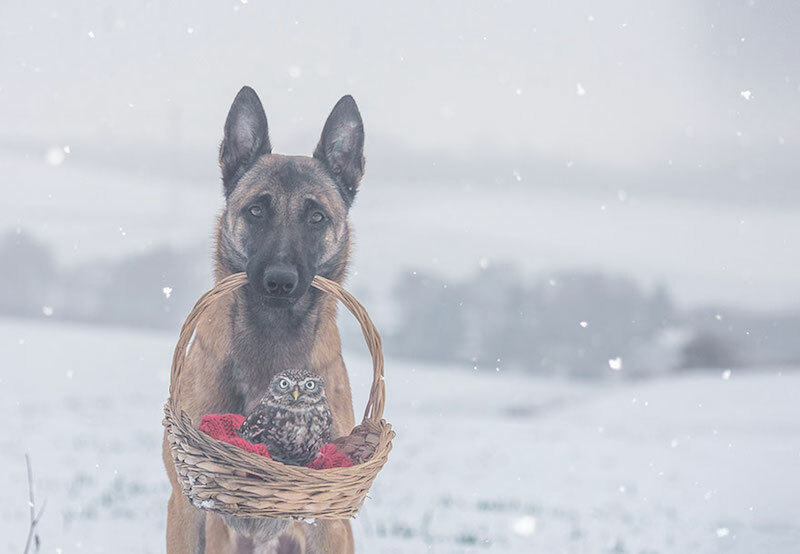 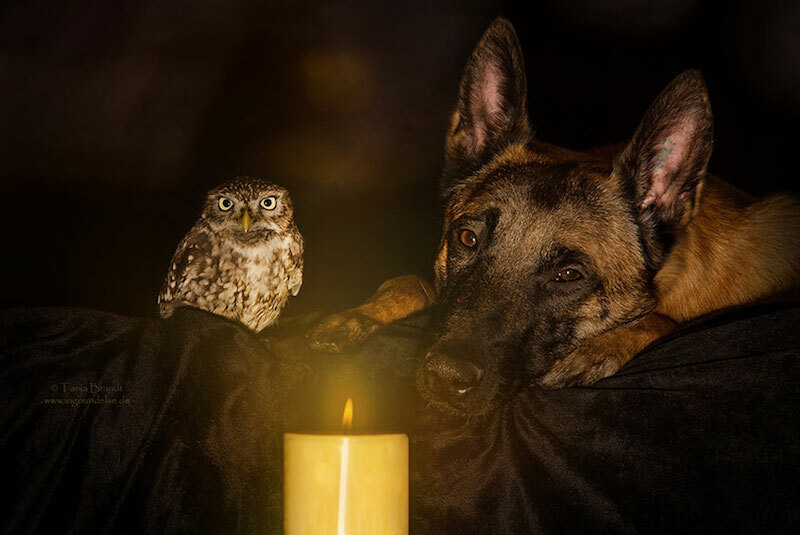 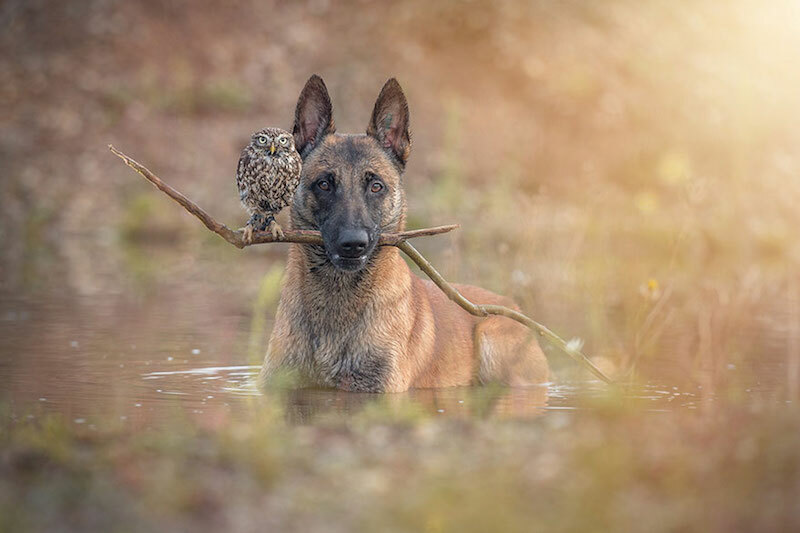 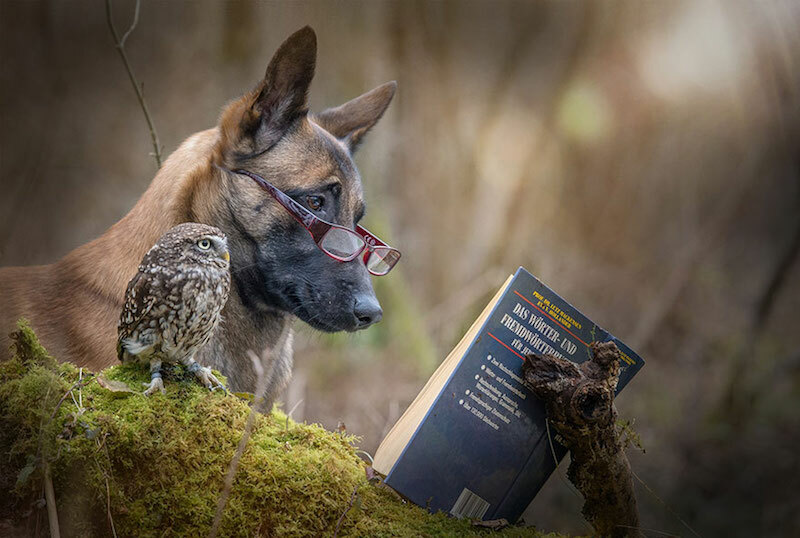 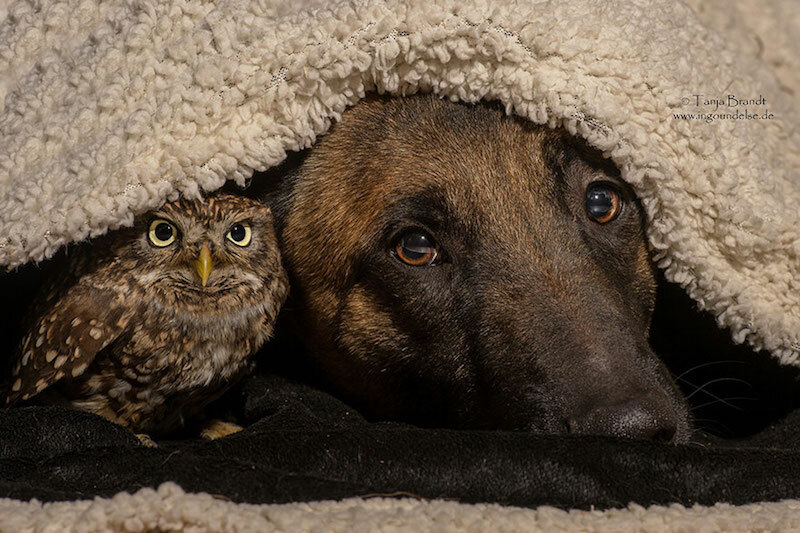 The pictures of Ingo the Belgian Malinois and Poldi the owl were taken by photographer Tanja Brandt, who loves to take photos of the pair as they hang out near her home in Germany. 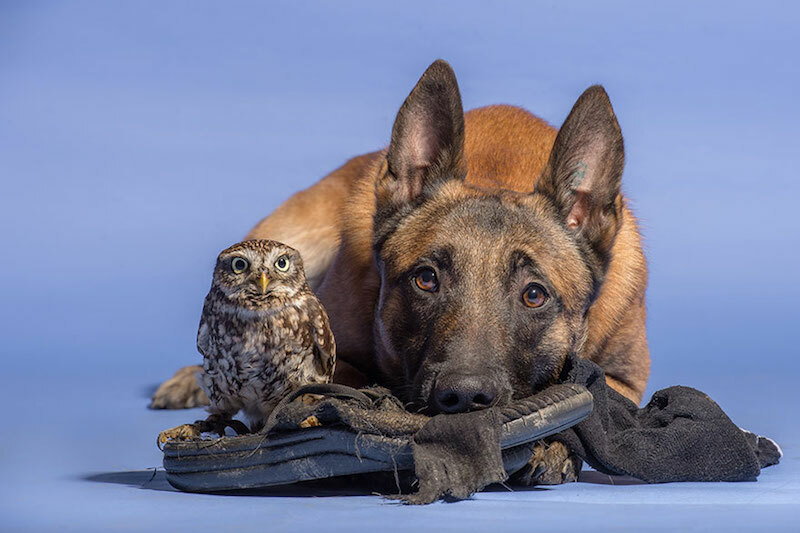 Ingo has a variety of feathered acquaintances, but Poldi is by far his most favoured partner in crime. 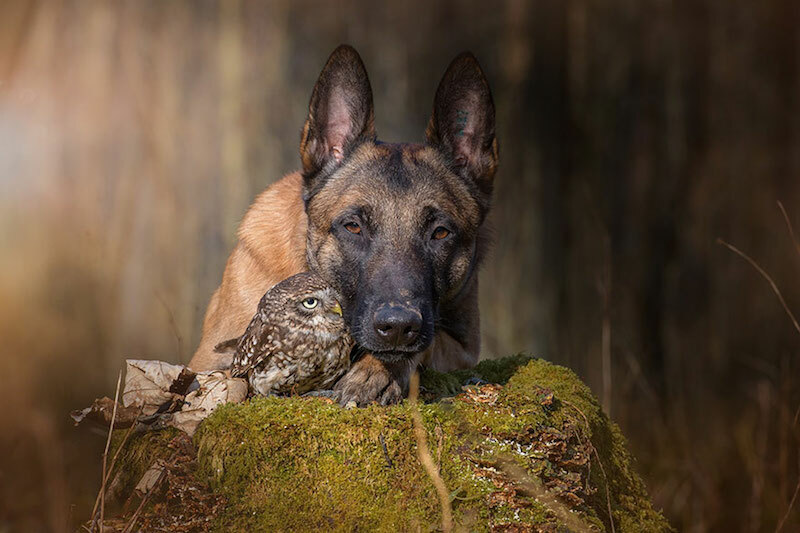 The pair are always comfortable in each other’s comfortable, with Poldi sometimes even sitting on Ingo’s head.